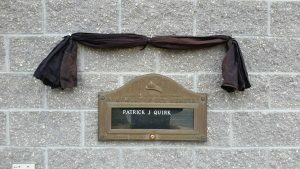 Today Firefighter/ Past President Patrick “PJ” Quirk was laid to rest. 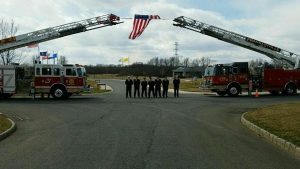 Attached are some photographs from his services. 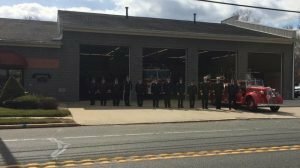 Gibbstown Fire Department would like to send a special thanks to Reverend Kevin Davis for his services today, along with the Franklinville Fire Department who assisted in “cross ladders” at the cemetery. Emergencies don’t take weekends off and neither do our volunteer members. We have 9 members who took time out of their weekend to attend some outside training. Four are attending a two day class for their Incident Safety Officer certification, which allows them to assume this position on calls. They serve as an extra set of eyes looking for potential issues that helps keep everyone working on a scene safer. 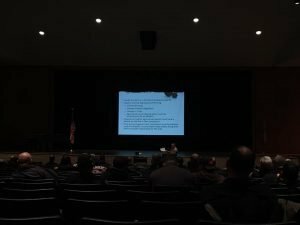 Five members are attending a Gloucester County sponsored Officer Symposium, designed to inform the departments of the outside resources available to them, in the event they be needed. 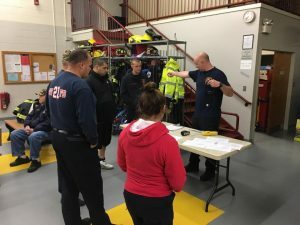 The GVFC encourages continuing training of all its members. Thanks to everyone who gave up their weekend. Last night the members of the department went through some of our Annual Proficiency Tests (APTs). APTs are skills that the officers have identified as being crucial in the fire service. 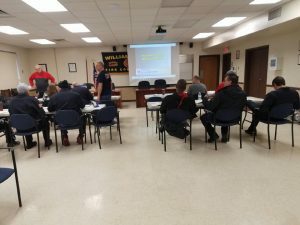 We use APTs as a refresher to ensure the members have the knowledge to perform these tasks and also gauge what direction our training needs to focus on the rest of the year. 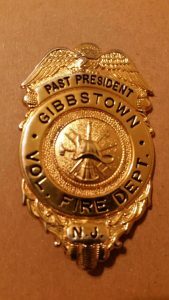 The Gibbstown Fire Department is pleased to announce the new administrative officers for 2017. 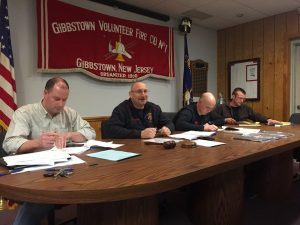 Pictured below (left to right) is Secretary Ed Deegan, President Ken Chew, Vice President George Plotts and Treasurer Kyle Fairley. The department would also like to thank Randy Minix, Joe Olnhausen, Tammi Minix and Will Durham for their services as administrative officers in 2016.